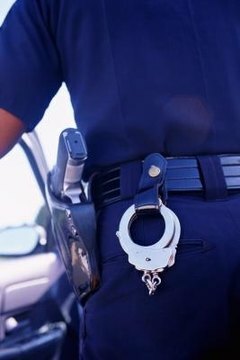 People who file false allegations with the police, also known as a false police report, face jail time and hefty fines. In many states, filing a false report is a class I misdemeanor. If you know of someone who has filed a false police report, it is important that you come forward as soon as possible. Investigating false allegations not only costs police time, but also taxpayers' money. Contact the police department where the report was filed. Ask to speak directly to the investigator in charge of the case. Explain the situation and possible motive for the false allegations. Offer to provide supporting evidence for your claims and give the investigator all your information for future reference. Submit copies of any material evidence you may have supporting the claims that the allegations are false. Pictures, written statements or legal documents are all ideal evidence pertaining to cases such as these. Contact any other agencies involved, such as the child welfare department or Social Security. These agencies become involved when false allegations concern a child or misuse of government funds. Inform these agencies that you are in contact with the police and working with them. File a police report against the person making the false allegations. If the allegations are against you, you can take the person to court and ask for an arrest warrant to be issued against them. With your evidence, state prosecutors will decide whether to bring criminal charges against the person who has made the bogus claims. Griffin, Sharin. "How to Report False Allegations to the Police." , https://legalbeagle.com/8543750-report-false-allegations-police.html. Accessed 24 April 2019.